Original British Quad Movie Poster. Size: 30 x 40 inch. Condition: Very Good / Folded / Holes to corners. 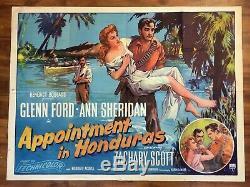 The item "Appointment in Honduras 1953 British Quad Movie Poster" is in sale since Tuesday, March 12, 2019. This item is in the category "DVDs, Films & TV\Film Memorabilia\Posters\Originals - UK Quads\Pre-1970". 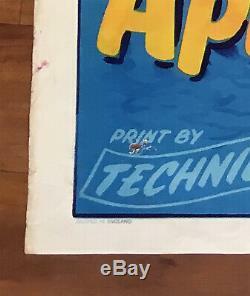 The seller is "vintagemagazinecompany" and is located in London. This item can be shipped worldwide.